Allied Office Machines are the Hampshire-based specialists in document processing technology, specialising in Ricoh’s cutting edge product portfolio. Established back in 1994, and still a family-run business, Allied have earned a reputation for providing superb customer service through their independent print management services and advice. Earlier this year, Allied appointed CuCo to refresh their company website. The last time the site’s creative style was addressed was by our Digital Team 5 years ago – excellent longevity for a technology site! 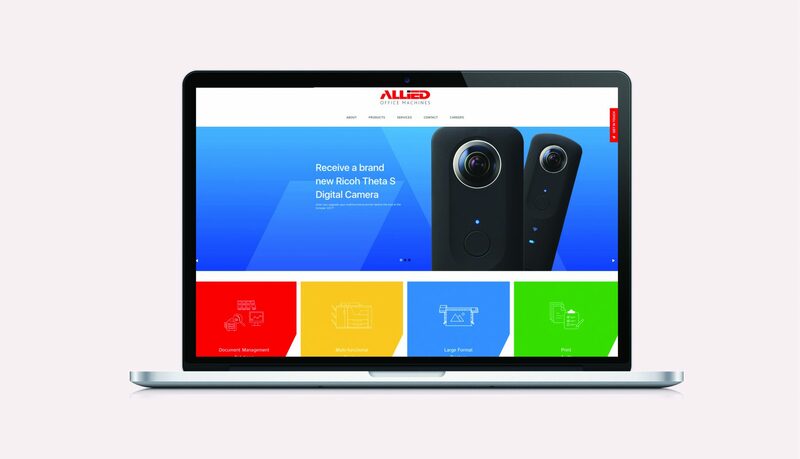 Allied had recently integrated sophisticated digital tracking software into the code of their site, and as a result of these analytics were looking to generate more traffic to the site organically. It was vital that this traffic was made up of high-quality leads and that conversion rates would improve as a result. CuCo’s Digital Team completely redesigned the creative style and structure Allied’s website. The whole site was cleaned up and made more contemporary, following the ‘Flat Design’ styling. We re-structured the homepage so that Allied’s offering was made clearer even more quickly than before. The homepage now contains a large, full-screen rotating hero banner, containing three core call to action sales messages. The original site design had a total of eight different nav menu options which has now been simplified to just four options, focusing on Allied’s four main areas of expertise. 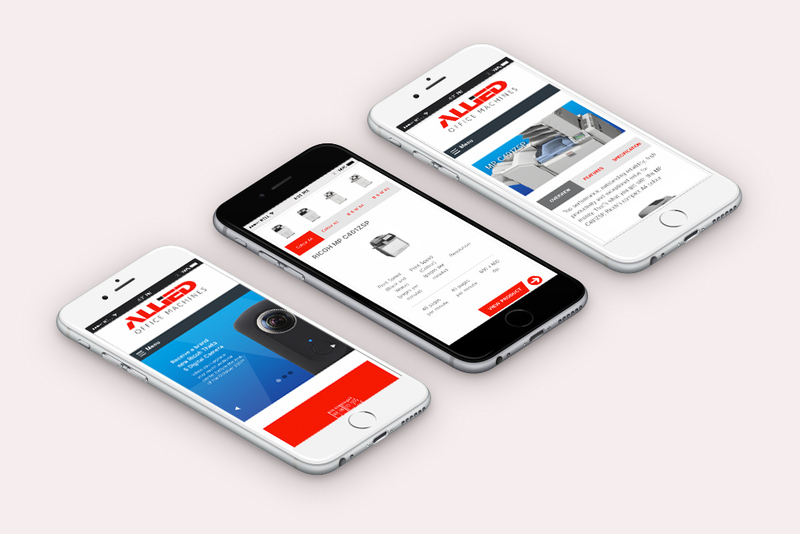 A “Why Choose Allied” section was also added to the homepage as our Marketing Team felt that incorporating a compelling company sales pitch would help to build trust and, in turn, maximise enquiries generated through the site. The code base was moved over to a fully responsive framework to ensure the site is optimised for all devices. Our creative team made the decision to re-write the CSS scripts as modern mobile browsers were displaying the standard web page by default. The framework makes use of flexible layouts, flexible images and cascading stylesheet media queries. 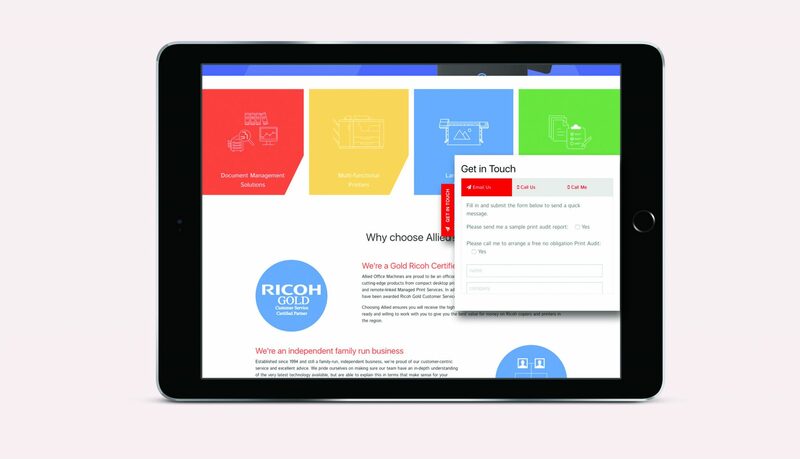 Next, a ‘Get In Touch’ tab was added to the website that when selected turned into a pre-formatted form. This new functionality was another way of helping to maximise conversion rates. Finally, CuCo re-wrote all copy (excluding product descriptions) to help make the site more SEO-friendly. We carried out the necessary keyword research to ensure that we focused on longtail keywords for which a substantial amount of search volume already exists. We also carried out Keyword Optimisation, Content Organisation and Content Promotion processes as well as making sure all copy was well-written and compelling for visitors, not just for bots! Refreshing the company’s website has ensured that Allied stay ahead of their competitors in what is a fiercely competitive market space. We have positioned Allied as technological innovators and experts in their field. The restructure of the homepage and the internal product range and software range has made these features much more attractive and easier to digest at a glance. These adjustments will help to maximise conversion rates, as customers can now navigate their way around the site with simplified tabs and menu options, making it a lot quicker and easier for them to find the product/service they are looking for! Moving the code base over to a fully responsive framework has enabled the site to fully understand the visitor’s screen size and orientation and dynamically change the layout accordingly. This has made the website fully responsive, and it is now presented at optimum layout whether the visitor is viewing the website via their mobile phone, tablet, laptop or desktop computer. Early stats suggest that this has already reduced bounce rates from mobile devices. Re-writing the website copy has resulted in the site becoming much more SEO-friendly. CuCo have helped Allied to appear higher in Google’s search rankings when people are searching for what they offer, which has successfully generated more traffic to their site. The chance of people landing on Allied’s site have significantly increased, and the changes made within the site has improved the web experience for both new and existing customers!